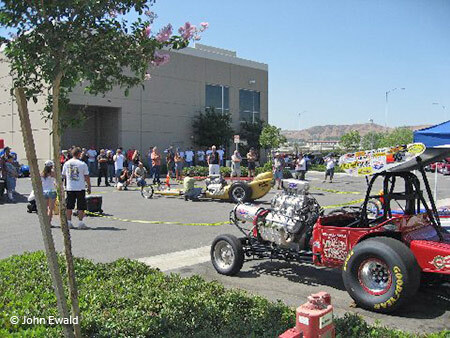 Chino, CA July 18, 2009  In 2008 Chet Herbert had to move from the Manchester Avenue location where he had his speed shop and manufacturing facility, all under one roof. 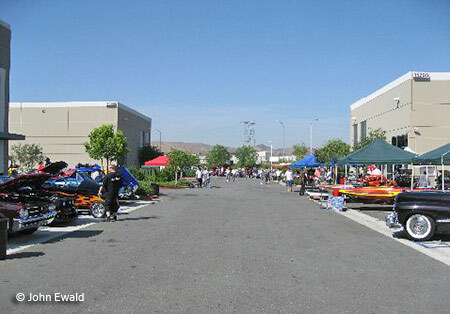 The decision was made to split the operation and move the manufacturing facility some miles East to Chino. 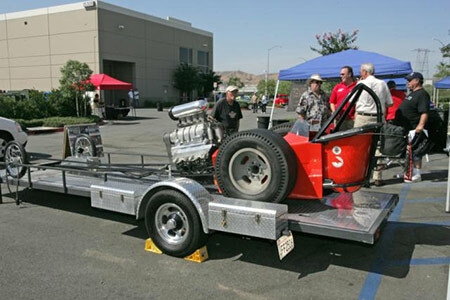 The Speed Shop was relocated to Santa Ana, which was much closer to Chet's home. 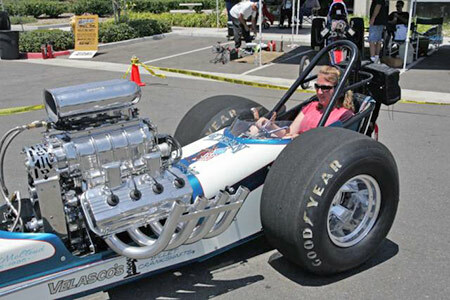 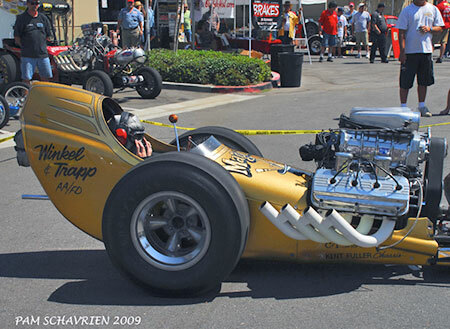 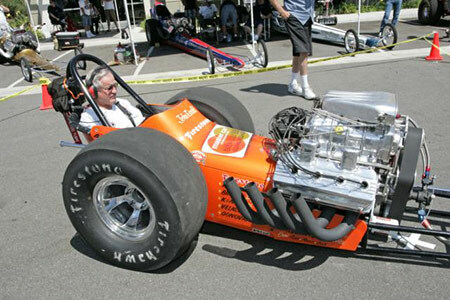 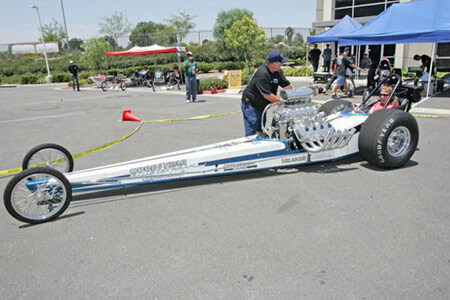 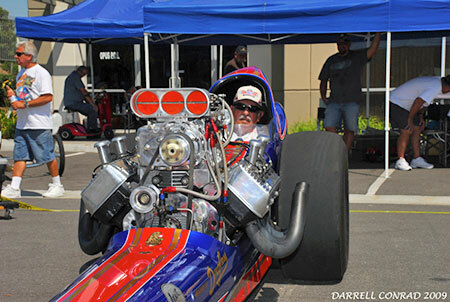 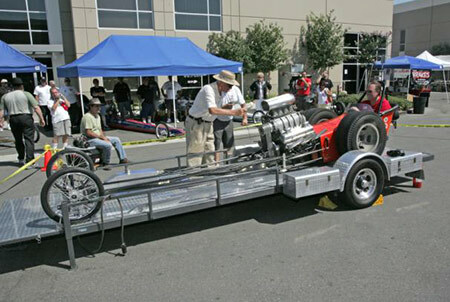 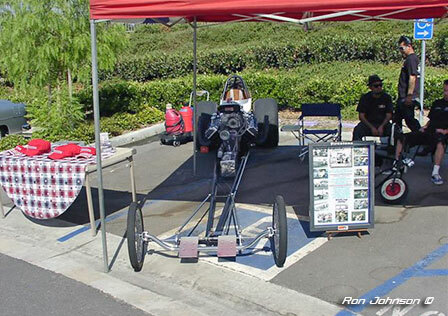 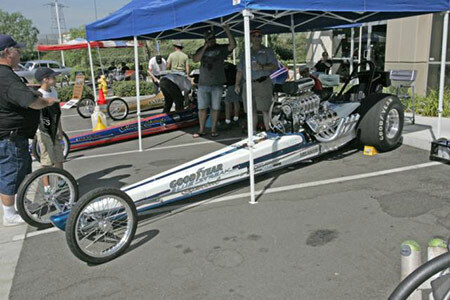 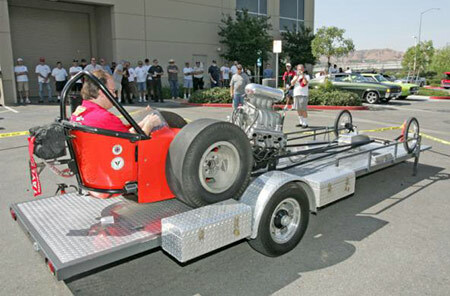 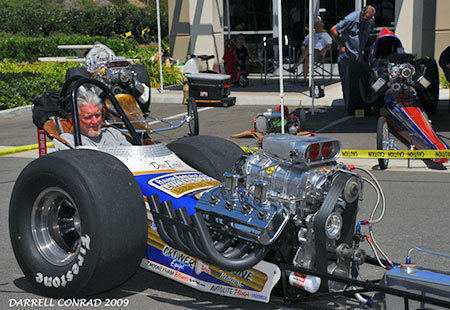 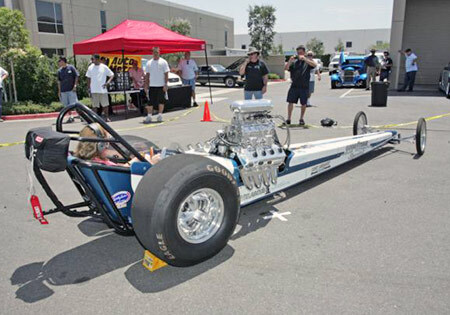 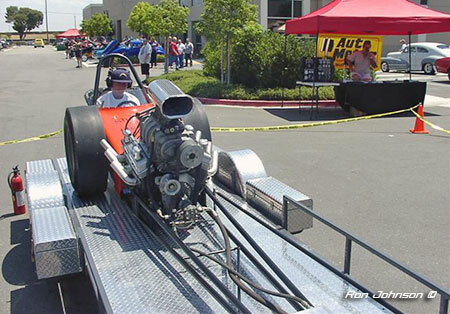 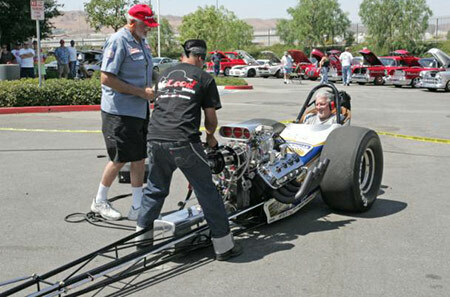 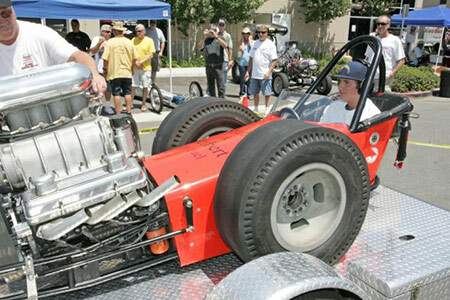 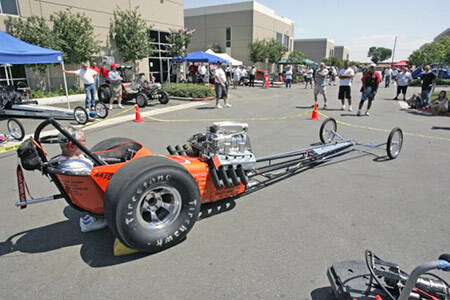 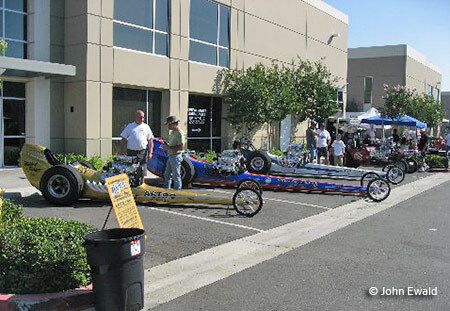 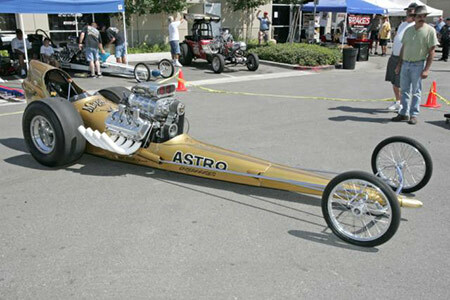 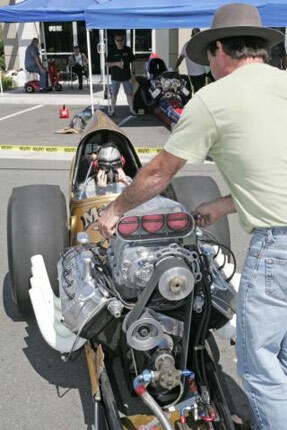 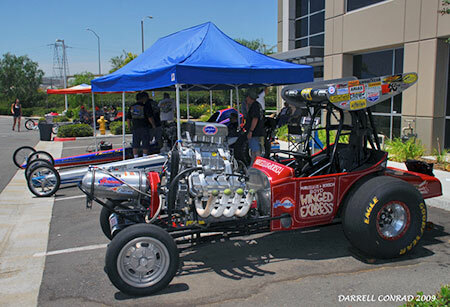 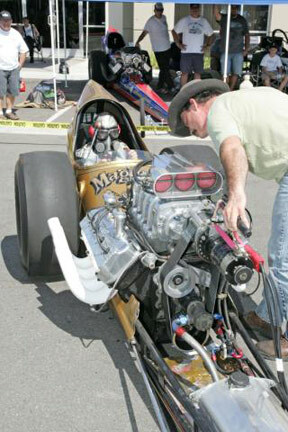 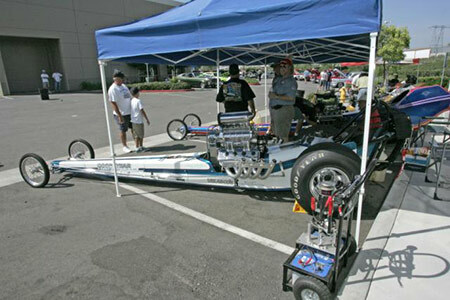 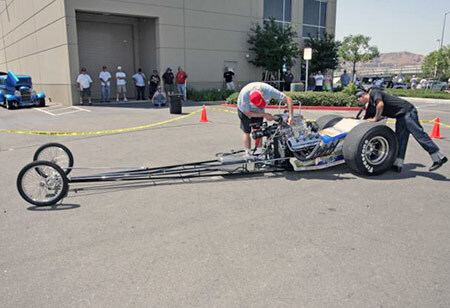 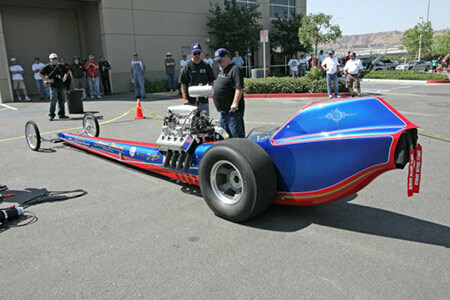 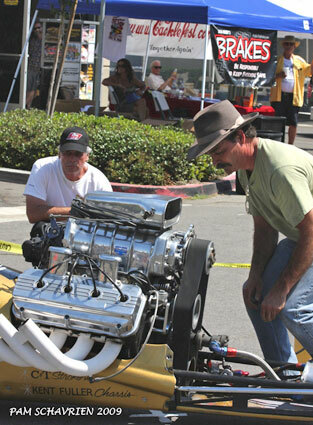 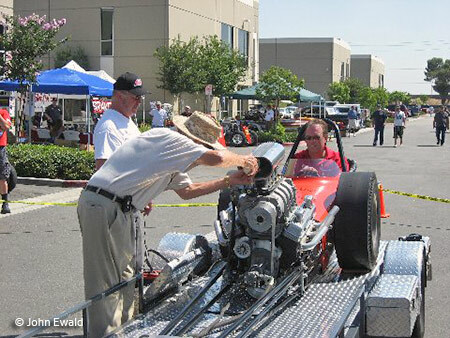 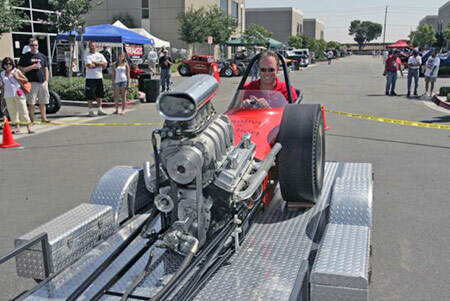 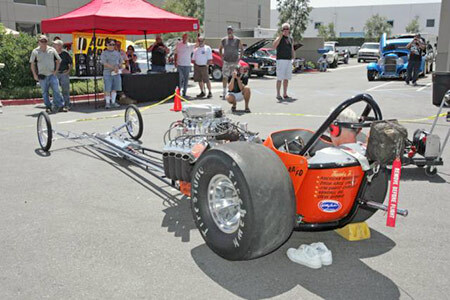 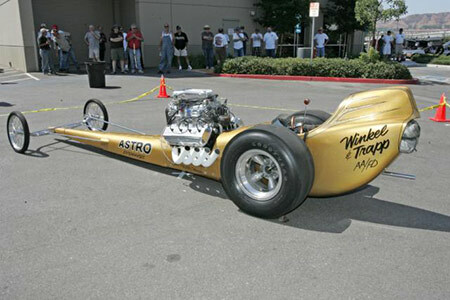 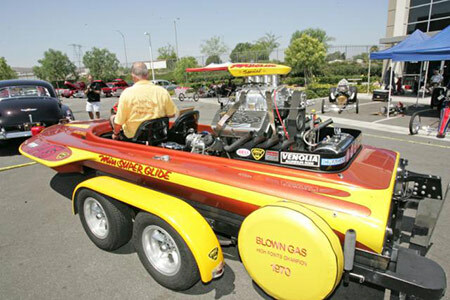 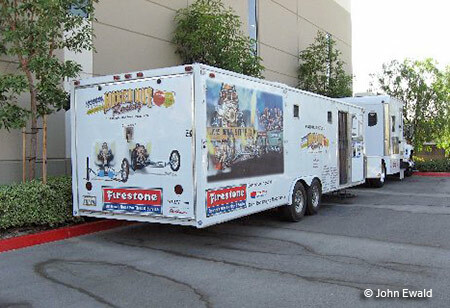 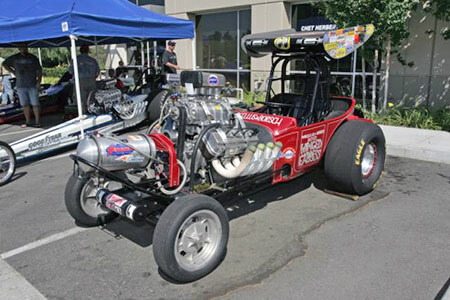 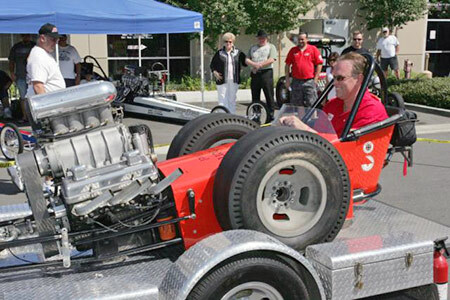 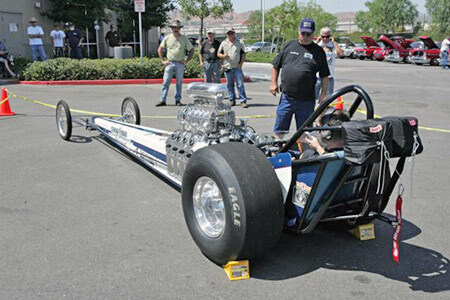 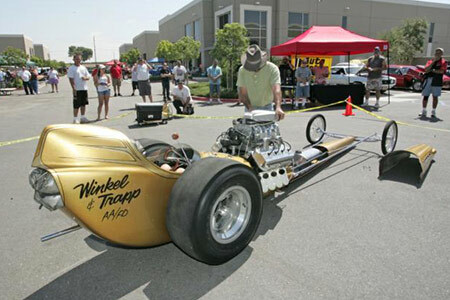 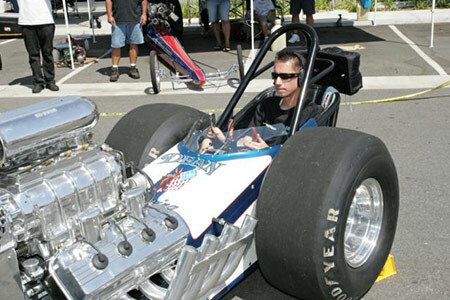 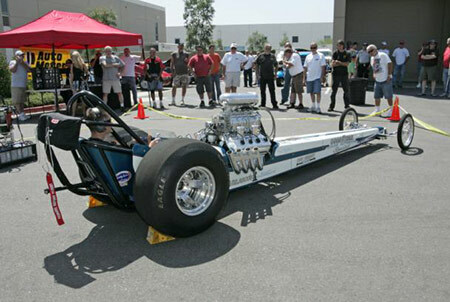 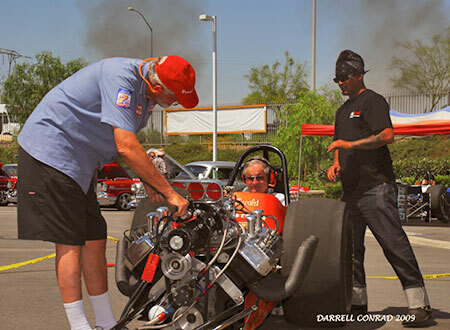 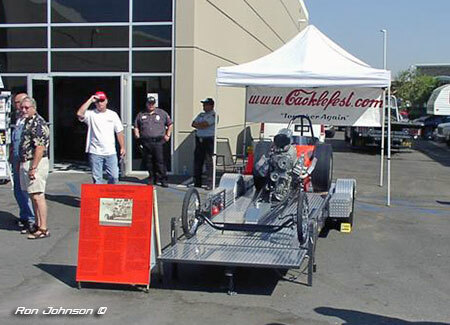 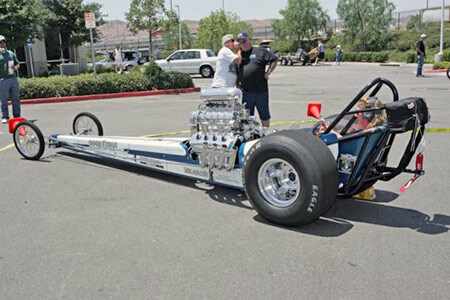 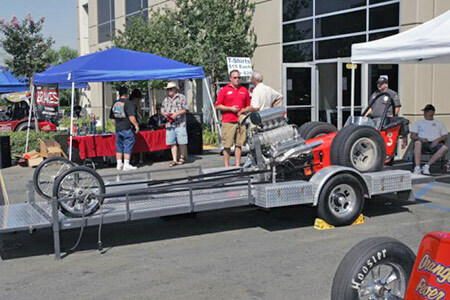 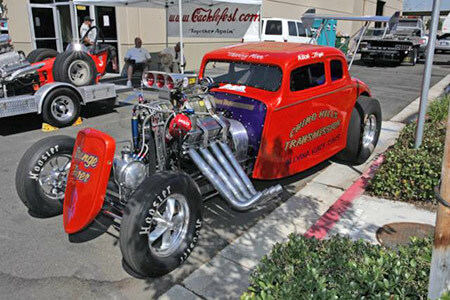 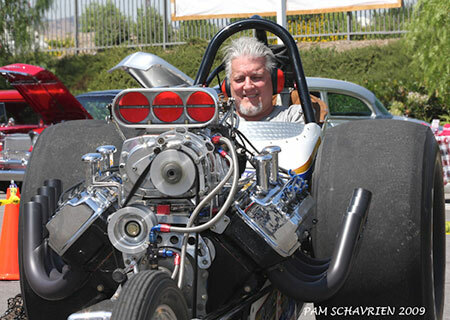 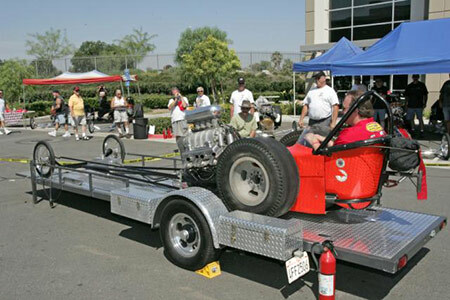 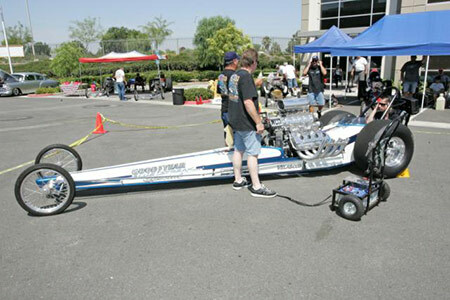 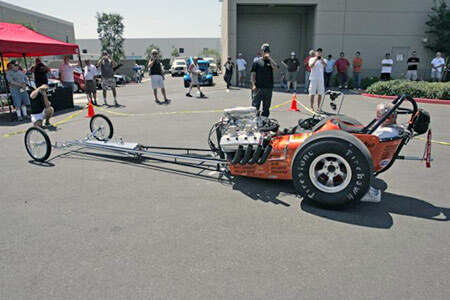 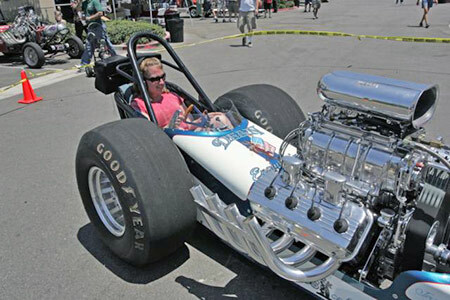 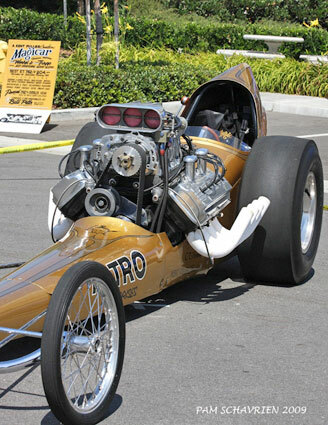 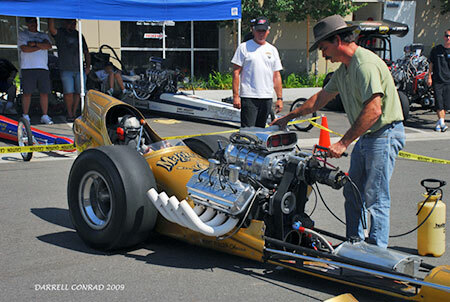 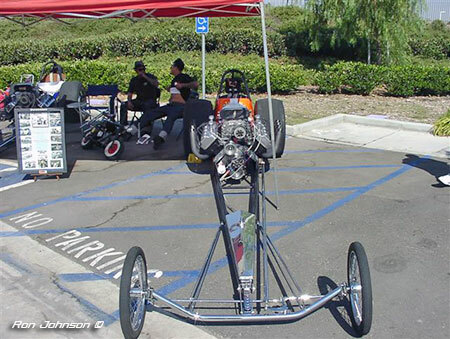 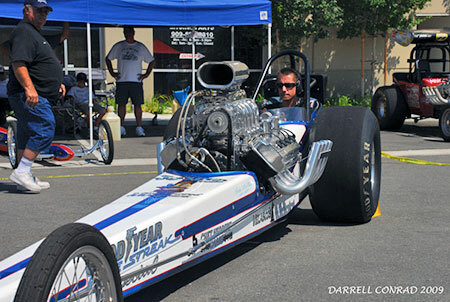 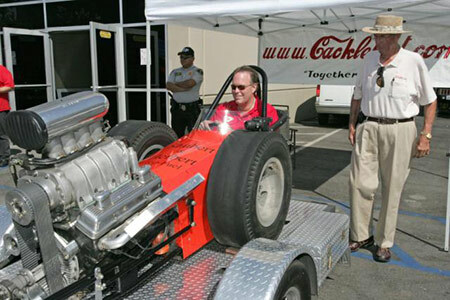 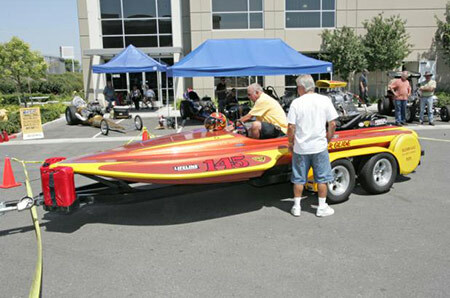 After Chet's untimely death in the Spring of 2009, his drag racer son Doug Herbert added the responsibility of operating the family business to his other business interests. 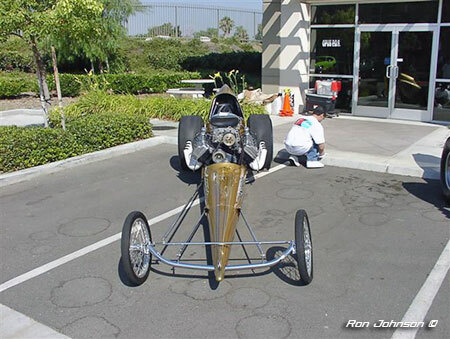 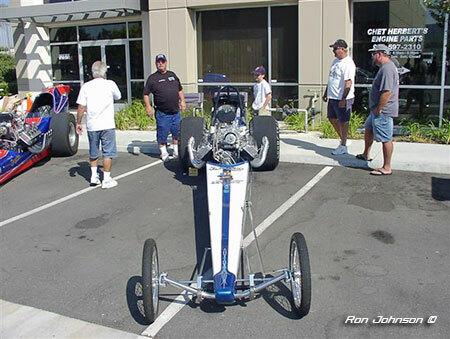 Doug closed the Santa Ana location and moved the Speed Shop to Chino where it now occupies the front part of the manufacturing facility. 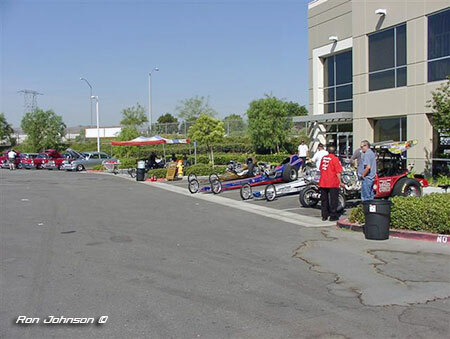 Many of the original staff came along, so the phones are still answered by familiar voices. 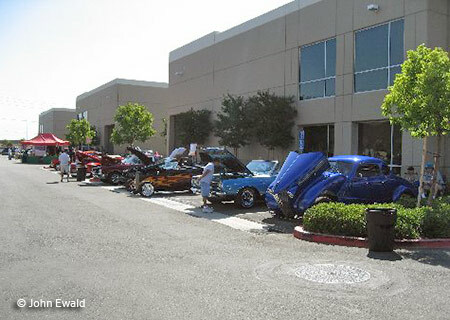 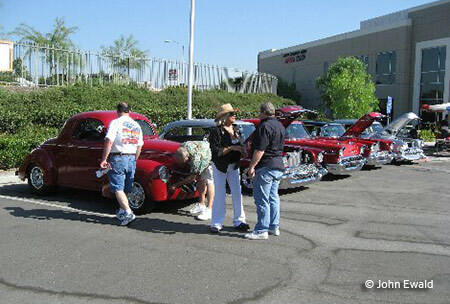 Doug decided to celebrate the completion of the relocation job with a 1st Annual Doug Herbert car Show. 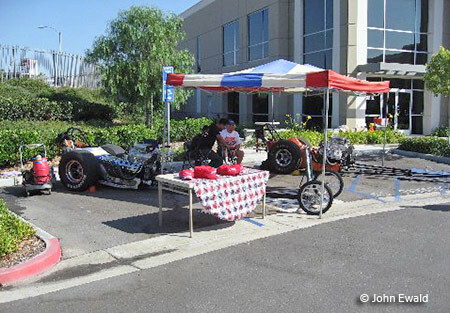 It took place on the 18th of July and while the temperature exceeded 110 degrees, the show was a success. 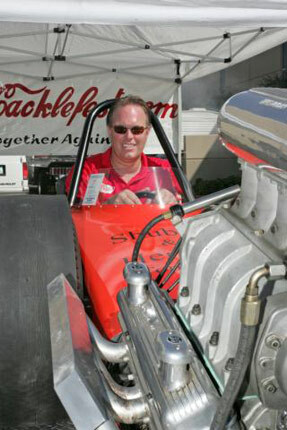 Doug took the opportunity to raise money for the charity (B.R.A.K.E.S.) 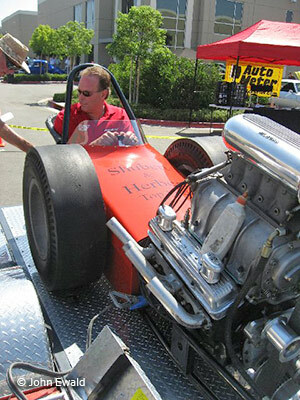 he created after his two sons were killed in an auto accident. 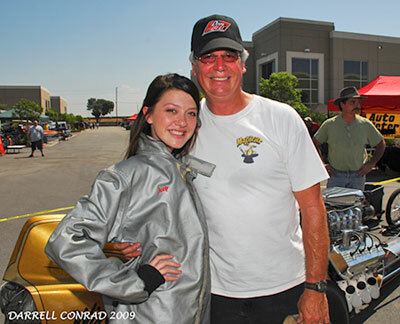 Doug was joined by his new wife Ginger and his daughter Josie. 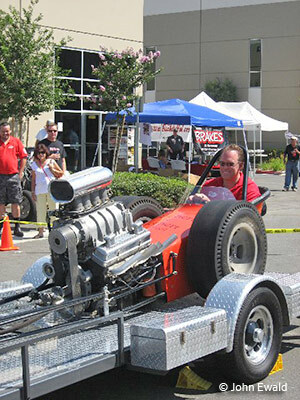 For more info on the Doug's program aimed at saving teen drivers visit their website at Doug Herbert's B.R.A.K.E.S. 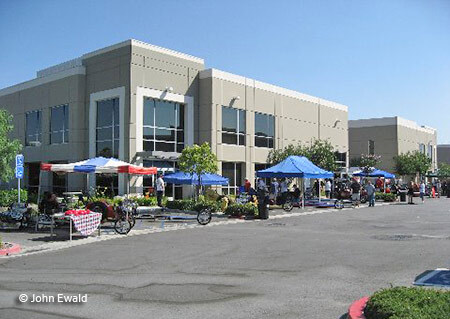 This is the front of the building which faces inward to a parking lot shared by the numerous buildings in the complex. 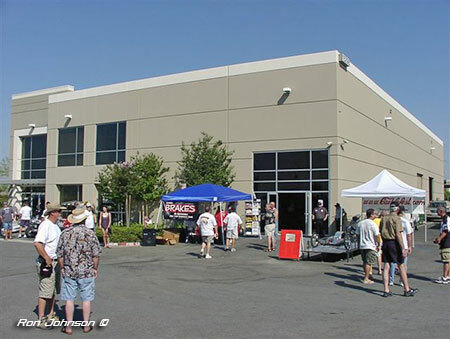 Down the right side you can just see an open garage door, which is the entrance to the manufacturing facility. 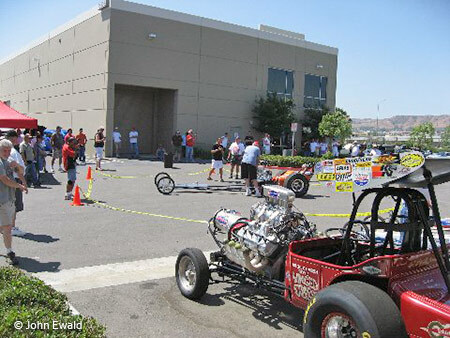 This area contains a substantial amount of machinery and equipment for making speed parts. 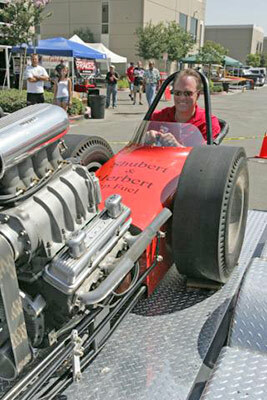 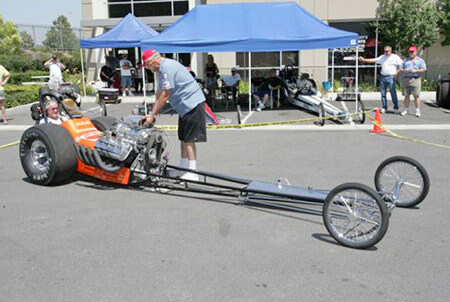 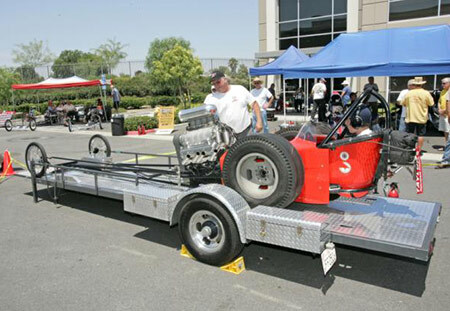 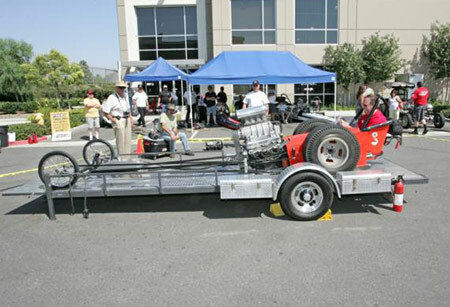 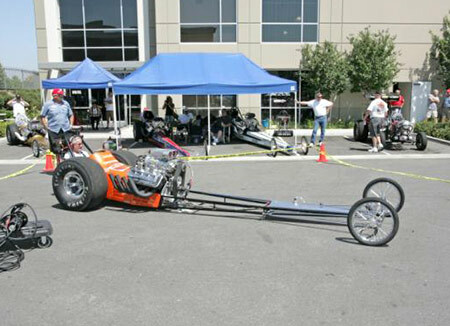 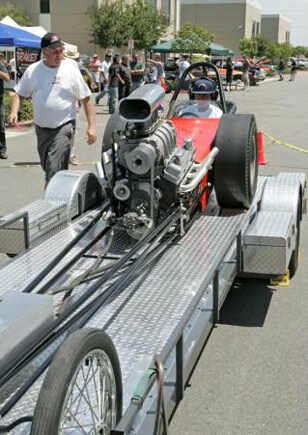 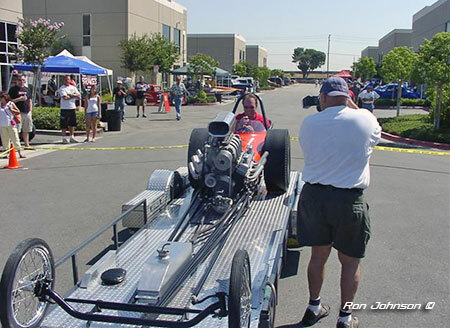 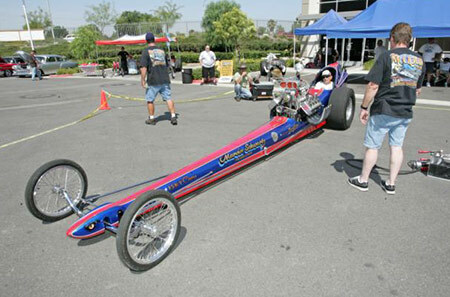 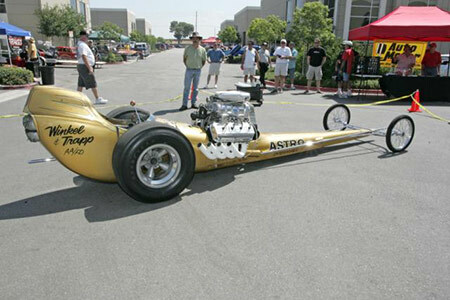 Ron Johnson brought his Shubert/Herbert dragster which is reputed to be Chet's favorite car out of all the dragsters he had over the years. 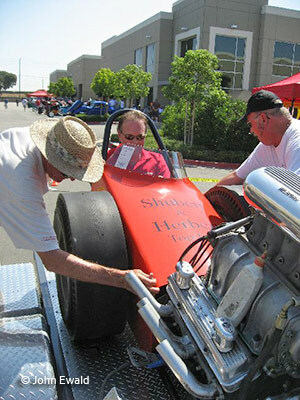 Chet's partner and driver Zane Shubert came to the event with his family, including wife Valerie, son Kevin and grandson Brian. 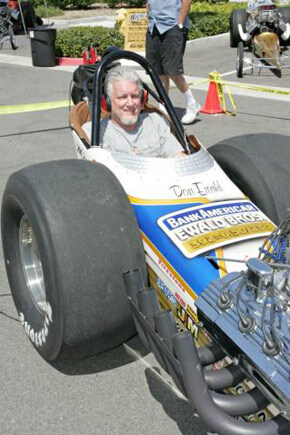 The Dean Engineering "Blue Streak Special" owned by Jake McCloud was also in attendance. 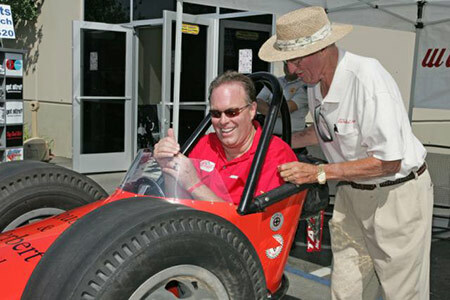 McCloud is standing behind the car. 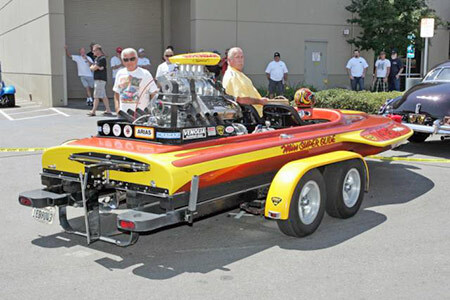 The Bob Hirsch owned restored Marvin Schwartz "Anaconda" was next in line. 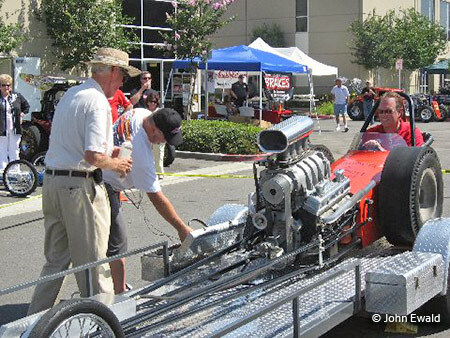 Next was the venerable "Magicar" restored and owned by Bill Pitts, father of the Cacklefest "Static Start" which has become so popular at events from coast to coast. 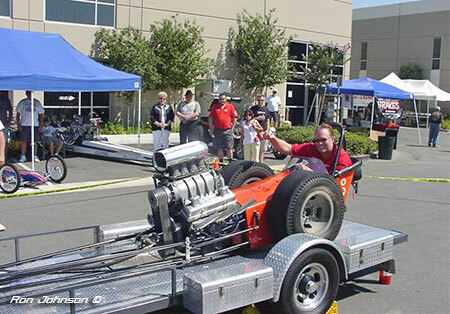 The Maxed-Out Racing Team of John Ewald brought both cars, above the Mastercar. 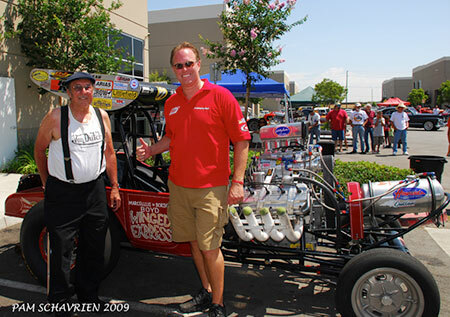 The BankAmericar originally driven by Don Ewald, is the other Maxed-Out Racing Team entry and rounds out the Top Fuel cars. 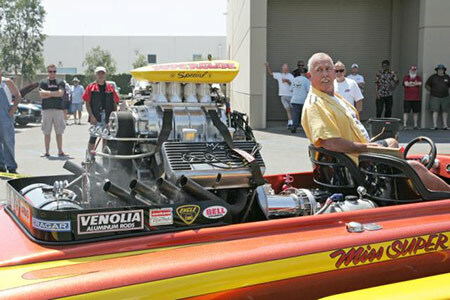 Mousie Marcellus brought the famous "Winged Express" AA/FA, originally piloted by Wild Willy Borsch and now driven by Mike Boyd. 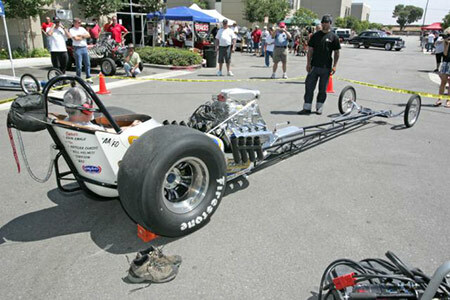 This car is quite new and makes exhibition full track runs quite frequently. 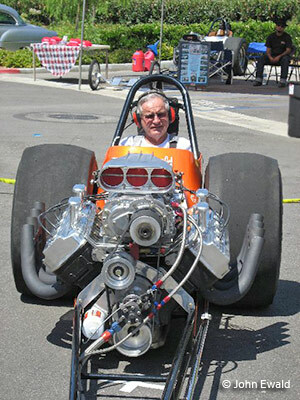 Johnson suggested to Doug Herbert that he might like to take the seat when "Shoobies" turn to fire-up took place. 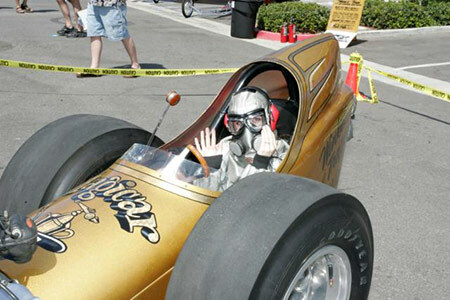 Doug was dubious about fitting into the car, but he gave it a test and found it to be okay. 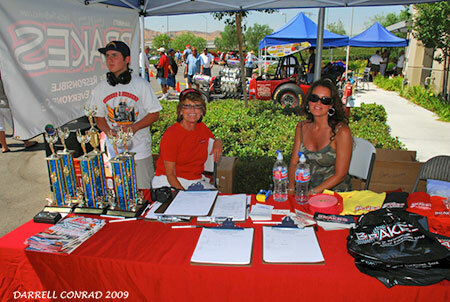 The Blue Ez-up was "Show Central" where Ginger and Josie Herbert handled entry forms and the other show host duties. 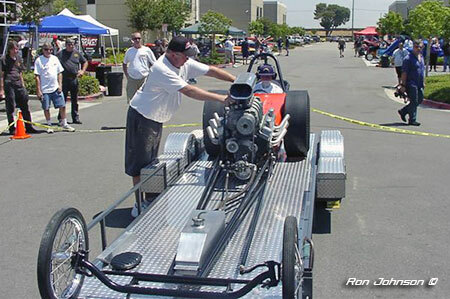 Ron and Son Kol prepare to fire up Shoobie with Doug in the seat. 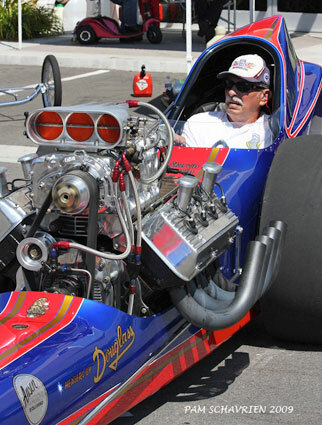 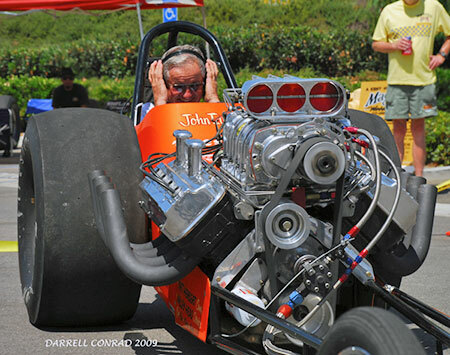 We don't believe Doug has ever driven a front motor top fueler, so this may well have been the first time he ever sat behind a running Nitro motor. 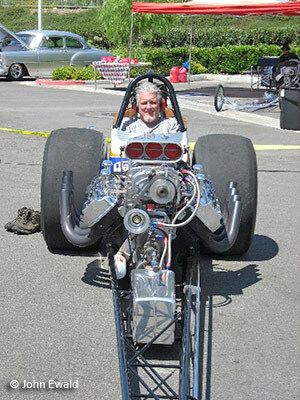 He likes it! 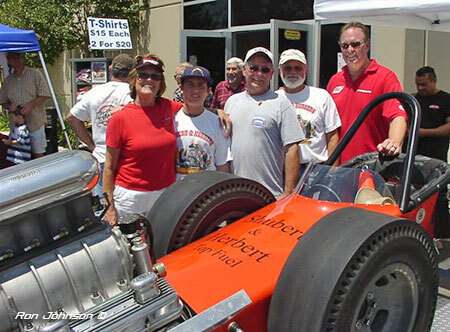 Ginger Herbert on the right, Valerie Shubert on the left with grandson Brian to her right (our left). 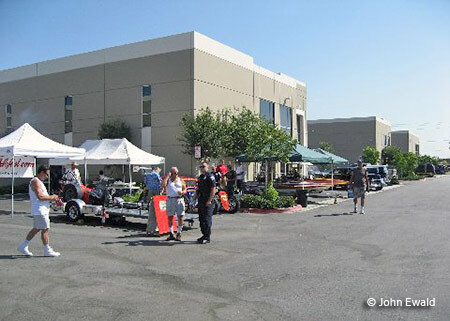 There were a number of door prizes on display, which were handed out intermittently up until the show ended. 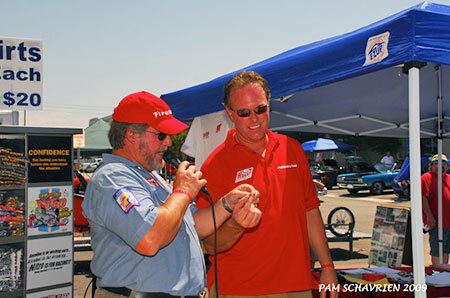 John Ewald gave his old friend Doug Herbert a hand with the announcing duties. 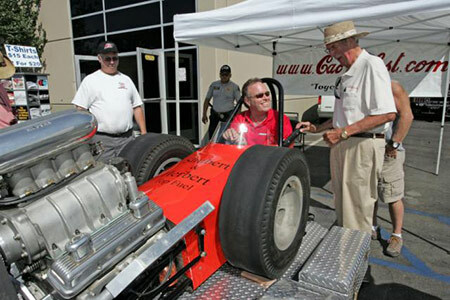 Bob Hirsch, owner of the Anaconda, sits waiting as Jake McCloud prepares to fire the Anaconda. 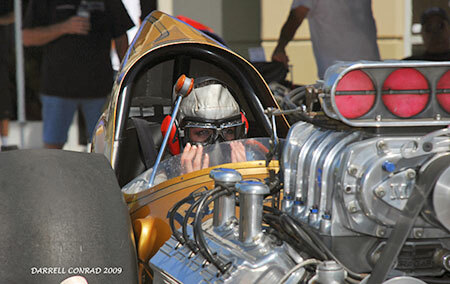 Kiersten Pitts strikes a pose before suiting up and getting into the Magicar for it's fire-up. 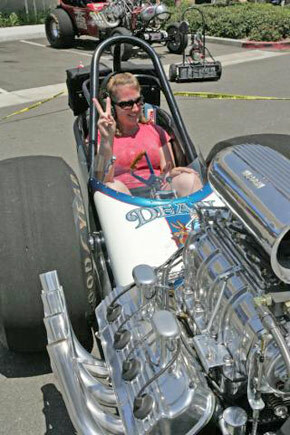 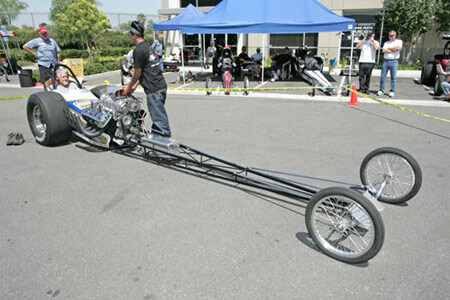 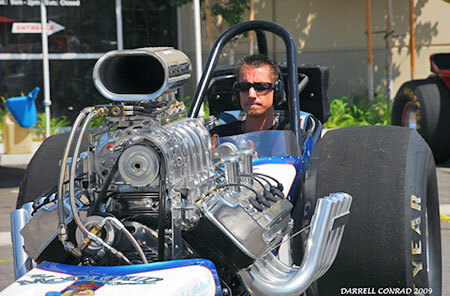 Not too many girls have as much seat time in a top fuel car before getting a drivers license. 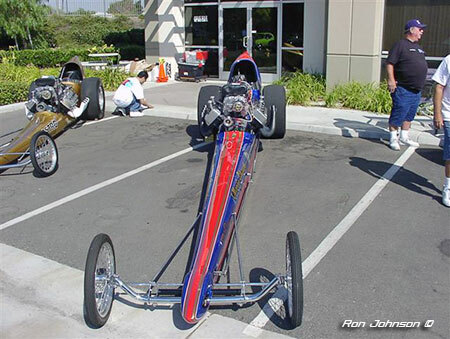 Pick a pair of happy Pittses. 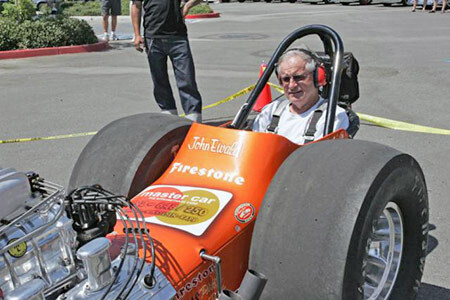 Zane and Valerie Shubert's grandson, Brian had an extra special birthday treat, getting a fire-up in Grandpa's old race car! 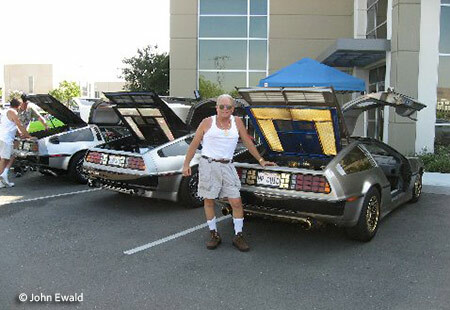 Not so many grandsons get to add this kind of experience to their memory banks! 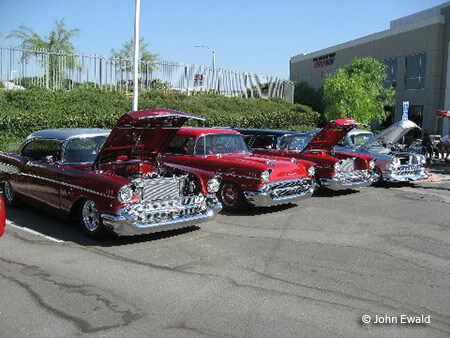 After the fun was over for the day, the last thing was a group photo. 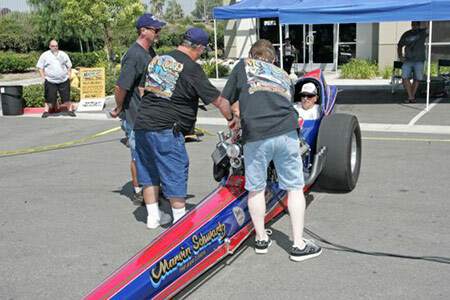 Left to right, Valerie, Brian, Kevin, Zane and Doug. 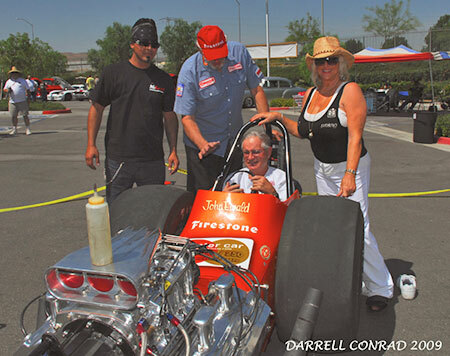 Two seasoned pro's saying Hello for the umpteenth time over the years, Linda Vaughn and Mousie.